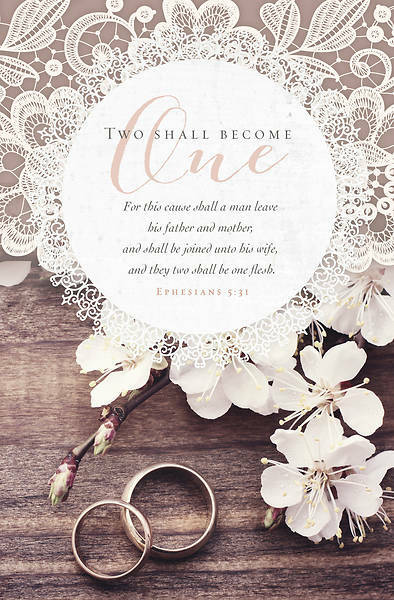 This Broadman bulletin is designed for weddings. This beautiful 4-color image highlights the scripture Ephesians 5:31, " For this cause shall a man leave his father and mother, and shall be joined unto his wife, and they two shall be one flesh. ", from the KJV. A free on-line template is available at www.bhpublishing group.com. All Broadman bulletins are sold in packages of 100 bulletins.